Located in Rexburg, Idaho, Brigham Young University-Idaho (BYU-Idaho) is a private, four-year university afﬁliated with The Church of Jesus Christ of Latter-day Saints (LDS). It is the largest private university in the state, serving about 15,000 students each semester. The BYU-Idaho A/V productions department provides digital video services for the entire campus, which spans 40 major buildings on 400 acres, and more than 100 online courses. In my area, we handle online video, video archiving, closed captioning, and online streaming. In addition to recording a weekly devotional, we record events and other productions throughout the campus for educational purposes. Over the years, we’ve built up quite a collection of video that requires storage and management. Like most media operations, we’d been storing everything on tape for many years. Then about three years ago, every production center on campus went completely tapeless. The idea was, of course, to embrace the well known beneﬁts of digital ﬁle-based workﬂows. The problem was that we made this move without a good digital archiving system in place. The result? Content would go into the new system, but then users couldn’t get it out. To make matters worse, we no longer had access to our tapes. We’ve tried a few solutions over the past couple of years but have always had storage and retrieval issues, to the point where users didn’t want to move their ﬁles out of active storage because they just didn’t trust the archive. After all, if you’ve worked for 100 hours or more on a project that went into the archive, and then can’t retrieve it when you need to make a change, you’re unlikely to rely on that workflow again. Consequently, users on campus and off were keeping everything in active storage, which was a real burden on the system. To free up our active storage and realize all the beneﬁts of a digital workﬂow, we needed a reliable digital archive that users could trust, one that would make assets easily discoverable. Just as important, it had to be a system that would integrate with our Avid media asset management (MAM) system. Our department is the production hub and repository for video from this campus and other locations, and we also share assets with other afﬁliated institutions, so we rely heavily on the MAM. Another critical requirement for us was disaster recovery. We’ve identiﬁed high value assets that we want to archive off-site, so our chosen solution had to have a robust disaster recovery component. After exhaustive research, we installed a DIVArchive content storage management system and a DIVAnet multi site content distribution solution from Front Porch Digital. We store everything we record in DIVArchive and then use DIVAnet to connect with the LDS church and other BYU campuses. We have integrated DIVArchive and DIVAnet with all elements of our production operation, building many of our video workﬂows with DIVArchive as the foundation. Every piece of video that is used on the website, in a course, at events, or elsewhere, touches the DIVArchive system in one way or another. It has become the foundation of everything we do. 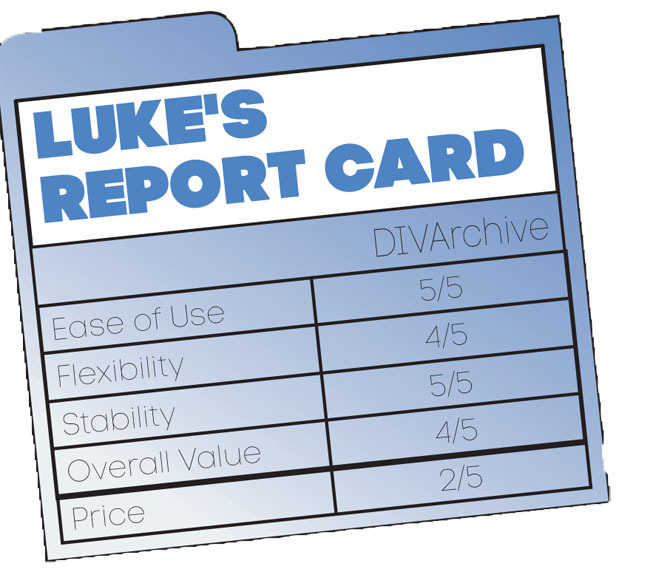 DIVArchive meets our critical requirements for reliability and discoverability with plenty of space to help us keep our active storage clear. It also works seamlessly with our MAM system. For us, the MAM is the center of everything we do, and our DIVArchive system is a powerful backend engine that drives all of our storage and discovery. While DIVArchive is at work behind the scenes, DIVAnet provides a way to transfer high-value assets to disaster recovery locations off campus that also use DIVArchive. At the same time, it allows us to connect with other campuses and churches to share media for production purposes. We rest easy knowing all of our content is stored safely off campus in case of disaster, and the same goes for other afﬁliated sites. For example, BYU TV has a disaster recovery site on the BYU-Idaho campus, and we have one at other BYU and church facilities. Any one of us can easily archive and recover assets from other locations that are linked via DIVAnet. 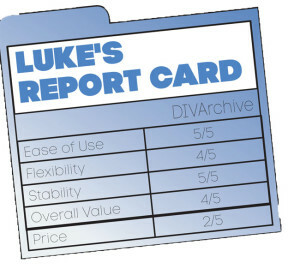 There are many great features of the DIVArchive system, such as partial ﬁ le restore, but for us it’s all about discoverability, reliability, and disaster recovery, and Front Porch Digital checks all of those boxes. Aside from that, perhaps the best thing about working with Front Porch Digital is the stellar customer support. Every question or issue we’ve had has been resolved quickly and professionally because of the Front Porch Digital team’s intimate knowledge of a media operation’s unique needs. Our Front Porch Digital systems have alleviated all of the storage and retrieval problems that plagued our organization before. The systems are built for broadcast and designed to prevent downtime, which is critical in a situation like ours. With Front Porch Digital, we ﬁnally have a reliable storage architecture that people will use, along with a long-term disaster recovery setup across all of our afﬁliated locations to ensure our critical assets are protected. Luke Hale is the Digital Systems Engineer at BYU-Idaho.